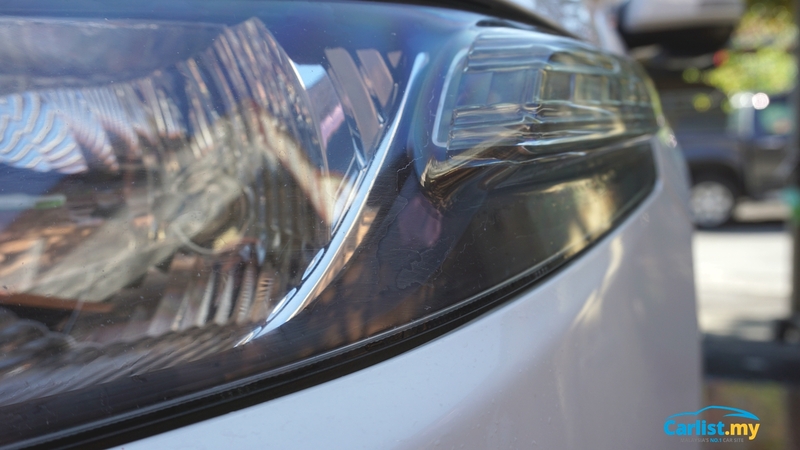 Back in the day, headlights were made out of glass, meaning that they withstood the test of time really well. You can spot some really old cars on the road these days with barely faded headlights, as glass headlights are not susceptible to harmful ultraviolet (UV) rays. 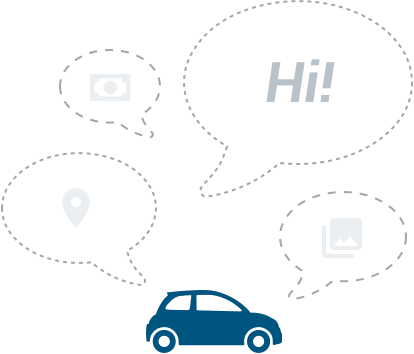 But the same cannot be said for modern cars, as manufacturers have shifted to use injection molded plastic for the headlights. 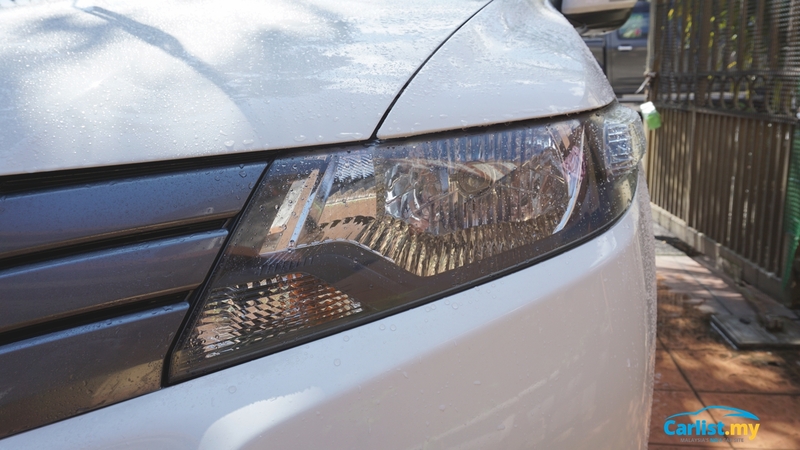 These headlights, while being able to be molded to unique shapes, are quite prone to UV rays, resulting in faded headlights. This is where 3M comes in with their medium duty headlight restoration kit. 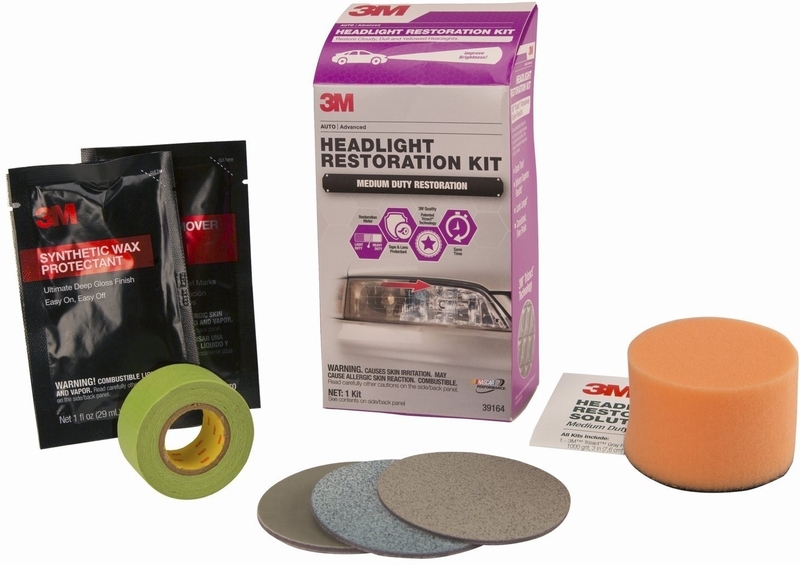 The 3M Headlight Restoration Kit is a do-it-yourself kit that consists of a double-sided sponge with a sticky side for the three abrasive discs, masking tape, scratch remover, and synthetic wax protectant. But that is not all, as a microfiber cloth, a spray bottle, and a power drill is needed. The latter is to minimize the amount of elbow grease needed to polish the headlights. 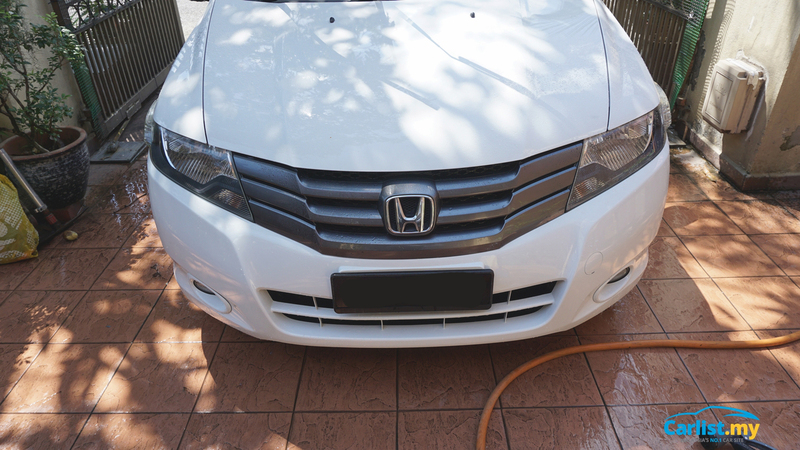 To kick things off, wash your headlights with some car shampoo and water, then mask the surrounding areas of the headlight with the supplied masking tape. 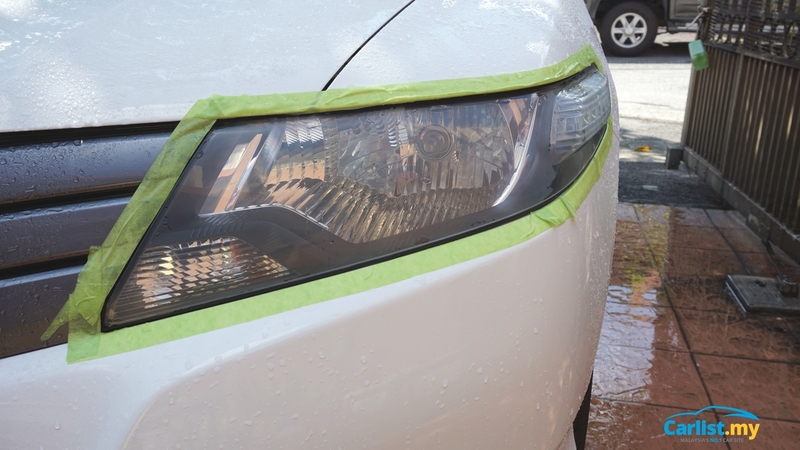 When applying the tape, make sure that it covers the paint of the car nicely, as you wouldn’t want to scratch your paint in the process. Then comes the exciting part. If you have access to a power drill, fit the 1000 grit disc to the drill and start polishing. 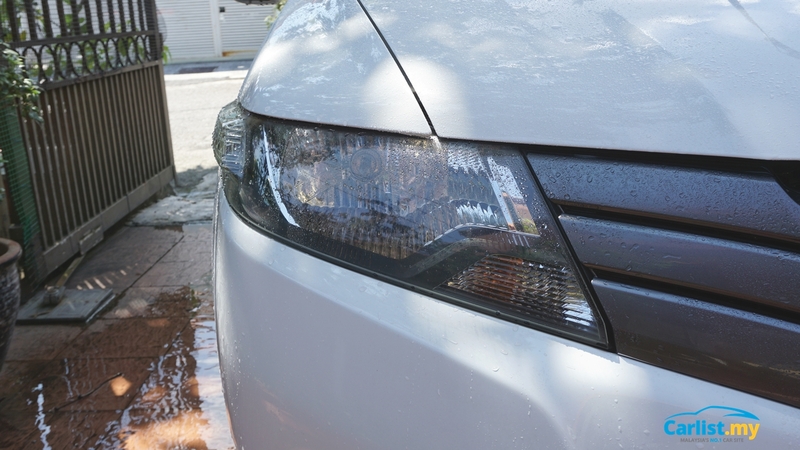 It’s crucial to wet-sand the headlights, so the spray bottle with water comes in handy. If a power drill is not available, then a heavy dose of elbow grease is needed. To make sure that this step is completed successfully, make sure that the entire headlight is hazy, with a dull look to it. After that step, proceed to use the 3000 grit disc to polish the headlight. 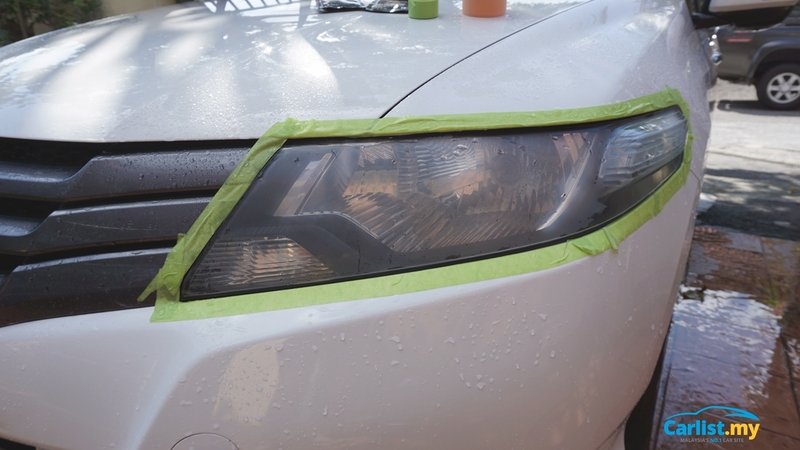 As before, make sure that the headlight surface is wet before sanding.  Similar to the earlier 1000 grit process, you will need to ensure that the entire headlight is hazy, but with a slight improvement, as the 3000 grit disc is aimed to reduce the amount of scratches caused by the 1000 grit process. The third polishing step will involve the 5000 grit disc. By the end of this process, your hands would be feeling relatively sore, while your headlights will be marginally better looking than before. Before applying the synthetic wax sealant, 3M recommends that you apply the scratch remover onto the other side of the orange sponge and gently polish the headlights. If done correctly, the headlights should look almost like new. Finally, apply the synthetic wax sealant onto the headlights and give yourself a pat on the back as you’ve successfully restored your headlights. All in all, the 3M Headlight Restoration Kit is a really simple and straightforward kit that is aimed at the casual do-it-yourself crowd. 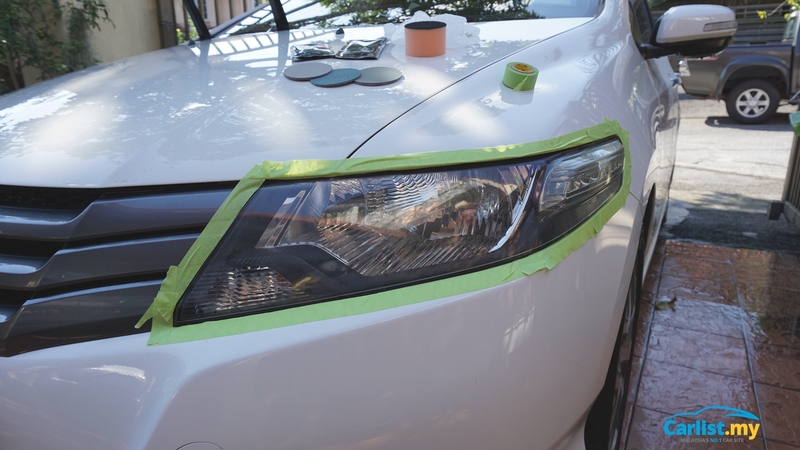 If your headlights have faded over time and you have a spare weekend, this makes for a great project.  The 3M Headlight Restoration Kit can be purchased from 3M’s official Lazada storefront here. 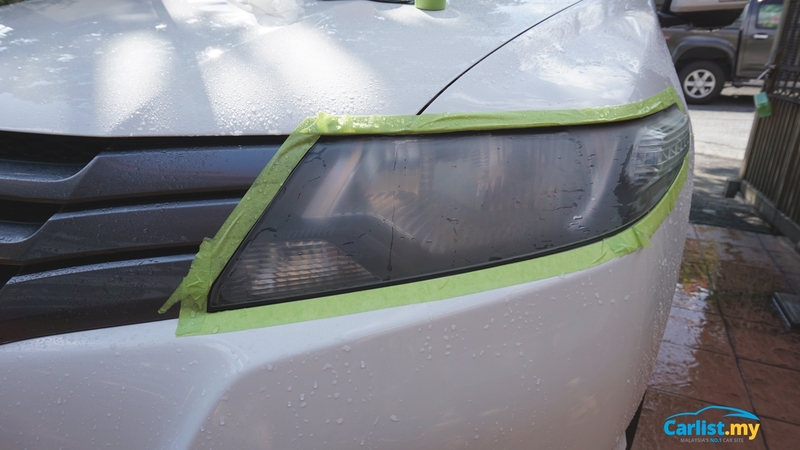 3M also recommends the Quick Headlight Clear Coat to be applied on the headlights after restoration.